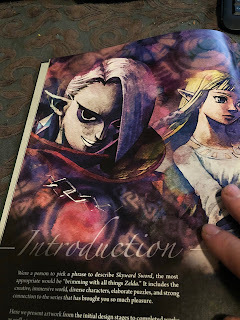 (1/10/18) --- Many of us had enjoyed the Legend of Zelda franchise for over 20 years, is a good franchise with several different solid titles but even if there is Zelda 2 on the list, there is also Skyward Sword (Zeldawiki - Skyward Sword) which itself is not bad, but the controllers can create a really annoying experience during the gameplay. What I am going to focus is on how the normative of video games is changing to include characters that reflect the sides that are beyond of the hetero-normative, but that also can be represented as mere stereotypes and cliches of the tribes that they belong. Ghirahim was born to serve shade in a silver and to be as fabulous. 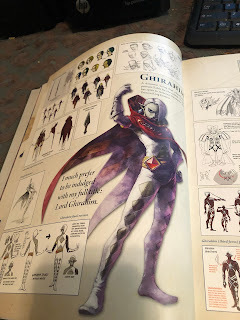 From his clothes, his pose and speech, Ghirahim is the ultimate queen in The Legend of Zelda of franchise, which is one of the reason Zelda would be a princess forever. A problem that is linked with Ghirahim is that his representation is not necessarily a positive one, he looks more cartoon than any actual villain, is almost as his over the top persona can shadow his own accomplishment and can take some of the credibility; but yet his personality is what it makes him really awesome.